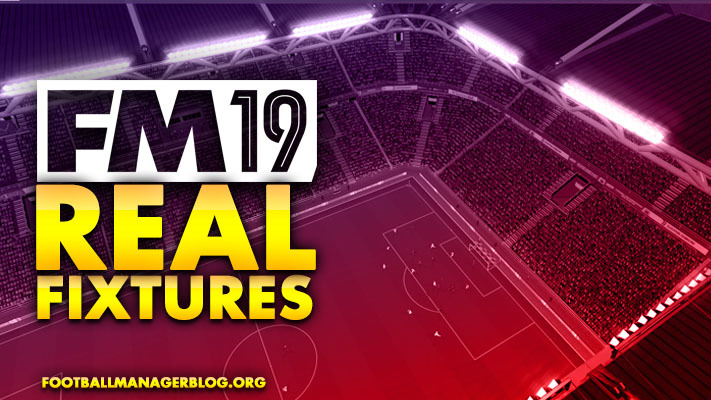 The FM19 real fixtures custom database is available for download. Brought to your Football Manager 2019 by FrankTheTank87. There are 102 leagues in total included in this pack, including every single top division that is playable in FM 2019. Check back for regular updates where more leagues will be added, and results updated. The first is a series of .xml files which are uncompressed editor files. The second are .txt files which can be imported and combined with other league editor files. The leagues which you wish to use simply need to be copied into the Football Manager 2019 Editor data folder. You can keep them in the folder structure that they are in if you wish. You only need the .txt files if you already have a file loaded which makes changes to the league's nation, such as adding lower divisions or modifying a current league. Expand the Fixtures menu which has just appeared in the bottom left panel. In the main panel select import and choose the .txt file that corresponds with the league. On the main menu bar at the top, select Rules > Test Rules to check that it has worked. If you wish to get in touch for any reason and spot any anomalies I can be reached on either Sortitoutsi, the SI Games Community Forum or FM Scout with the username frankthetank87. Origianl forum thread can be found here. Custom database file that contains real fixtures for FM19. The file contains real schedules for over 100 leagues in Football Manager 2019.